But what are these plants? How do we determine what is ‘native’ (= it was here before European colonization?) and if it is native, is it intrinsically valuable because it is? 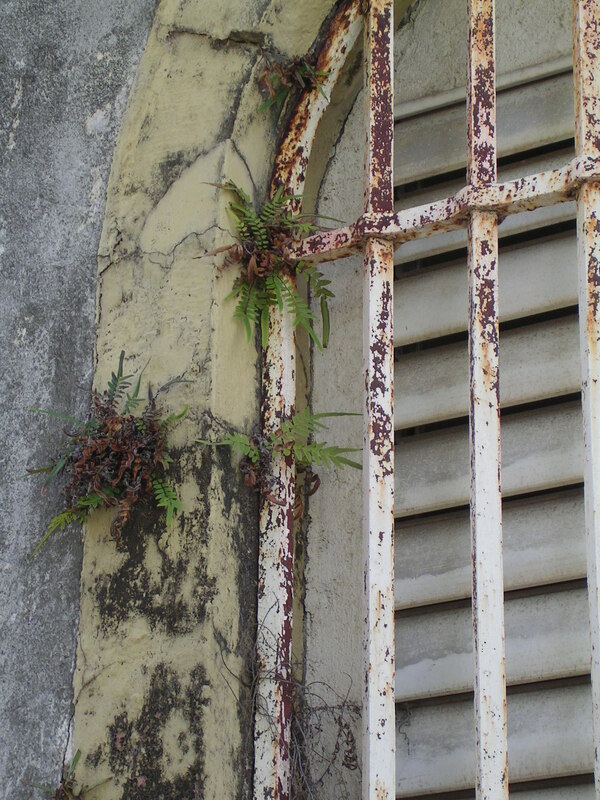 Plants that have adapted to thrive in specific environments are often no longer present in those same places after our intensive infringement, nor would they necessarily survive if they were re-introduced. This is perhaps due to their inability to adapt or compete within these new conditions, or because we have simply renounced them for more desirable plants. Plants that may have been considered valuable by indigenous peoples, whatever their contribution (i.e. medicine, food, dye, tools, decorative, etc. 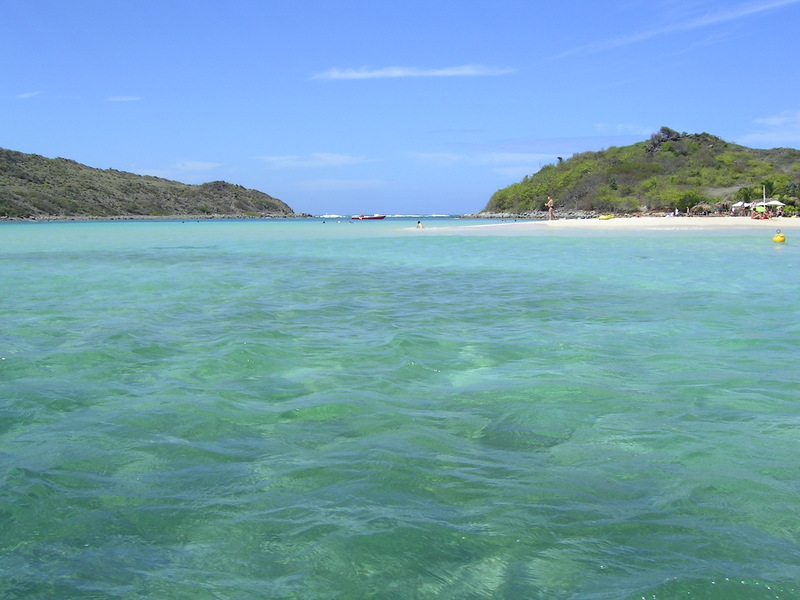 ), were not necessarily seen in the same light by European settlers. Conversely, seeds of plants from oversees were lovingly transported by pioneers as symbols of home and security. Many of these plants became garden staples and others became a scourge of our natural landscapes. 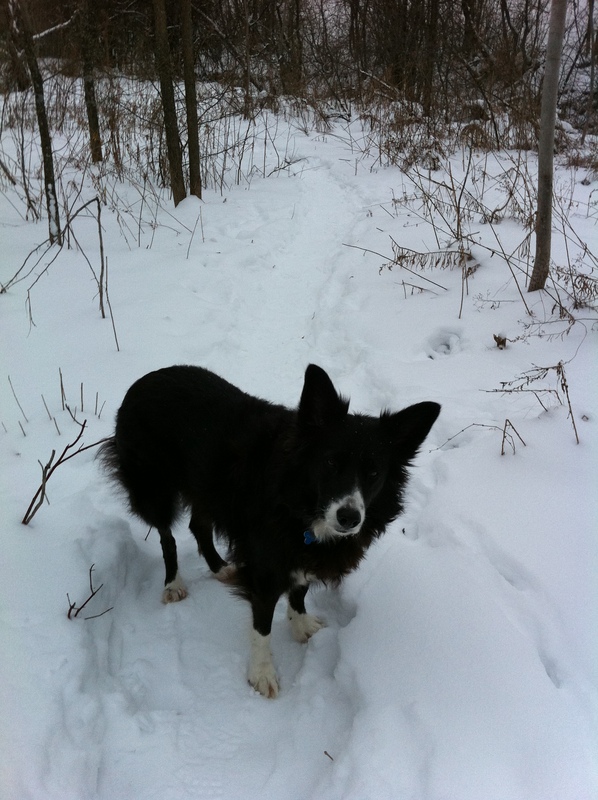 I thought I would take a bit of an inventory of the plants I came across on my walks with Skye-dog through the woods in non-residential areas within Ottawa. I’ll see if they can be considered ‘native’ and if they are, what their contribution to us might be and what their future holds. Or if they’re not, how they might have gotten here and what their value might be to us as gardeners and backyard ecologists. Perhaps the plant we most commonly encounter is buckthorn; both the common (also known as European) and glossy species (Rhamnus cathartica and R. frangula). Both of these are imports that travelled here with European immigrants; apparently they thought buckthorn was garden-worthy! R. cathartica was also known as Purging buckthorn for its use as a medicinal purgative but has now been found to be a host for the soybean aphid (a serious pest to soybean crops), while R. frangula was prized because the charcoal from its wood was used for gunpowder. They are proficient seeders and have reproduced quickly throughout North America. Often found forming thickets which are almost impenetrable due to their dense branching and sharp thorns (found only on R. cathartica), both these plants choke out native species of shrubs and small trees and are considered highly invasive. Volunteers at the Fletcher Wildlife Garden have been on a program to eradicate buckthorn from the Central Experimental Farm for about the last ten years. They have been sounding the call against it as an invasive plant and talk about it here. 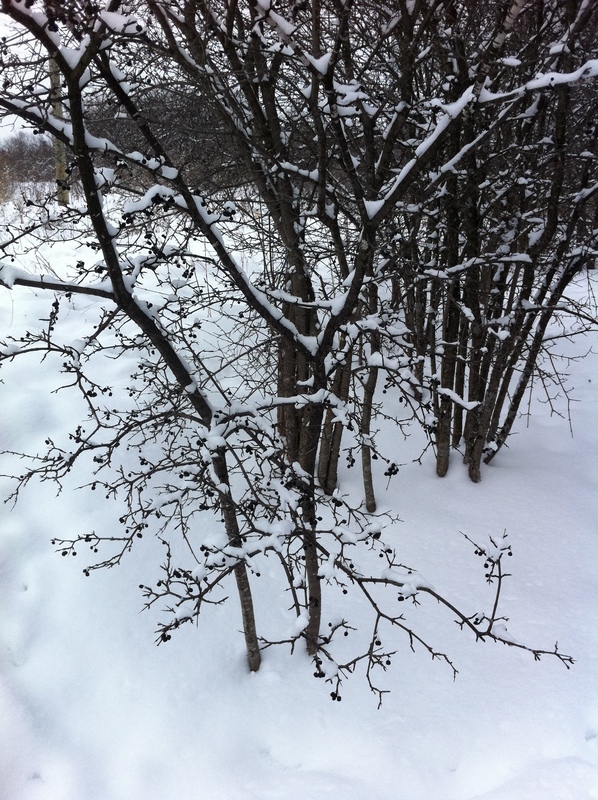 There is a buckthorn that is, in fact, native to this area called Alder-leaved Buckthorn (Rhamnus alnifolia). This species is usually found near water and grows only to about 3′ in height. It has similar foliage to the two species above and the same inedible black berries. Populus tremuloides is a native tree and is often found in stands or clusters that are favoured by beavers for creating dams. It is actually the most commonly found tree in North America. It reproduces most actively by suckering and the invading roots can become a hazard in the home landscape (they are a member of the Willow family, after all). So despite its attractive grey trunk and striking golden fall colour (not to mention the evocative sound and sight of its leaves quaking), this tree is not usually available to the home gardener and no cultivated varieties exist. Poplars are well known for being short-lived trees; they grow at a fast rate leading to easy breakage and the resultant high susceptibility to pest and disease damage. They are also responsible for the white ‘fluff’ that takes to the air when the trees catkins explode and release their seed, carried by the wind and covering much in their wake. 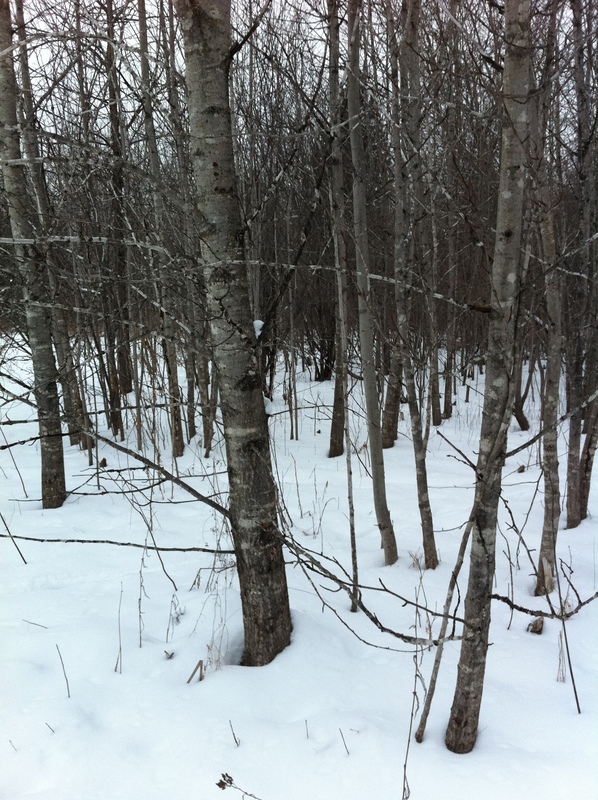 In natural stands, however, poplars are very useful trees because they provide habitat for a wide variety of animals including hare, black bear, deer, elk, ruffled grouse, woodcock as well as many smaller birds and animals. They also provide a host for numerous insects, bacteria and fungi: borers, leafminers, caterpillars, beetles, aphids, leafhoppers, weevils — the list goes on and on. A comprehensive description of this tree is available here. In industry, P. tremuloides is primarily used for the creation of pulp and composite wood products (i.e. particleboard and MDF); they are also desirable when a splinter-free wood is required. 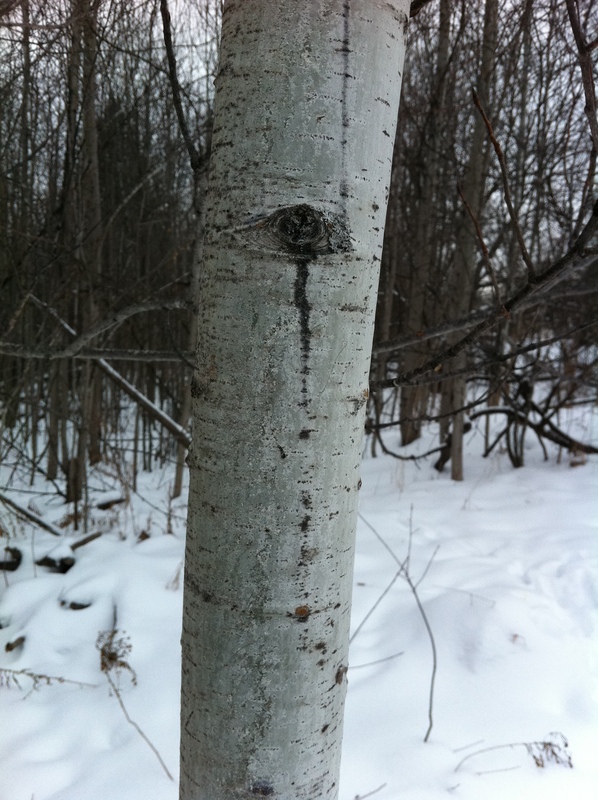 This native white birch, pictured above, called Betula papyrifera is found throughout Canada (except the far north, Nunavut) and the United States, as far south as New Mexico and North Carolina. 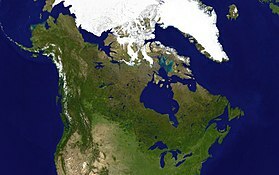 The paper birch and trembling aspen are two of the most common deciduous trees populating the Boreal Forest in North America. The eco-system known as the Boreal Forest with its community of conifers, deciduous trees, shrubs and sub-shrubs, herbaceous perennials, water plants and mosses dates back about 5000 years; these plants can indeed be called ‘natives’. 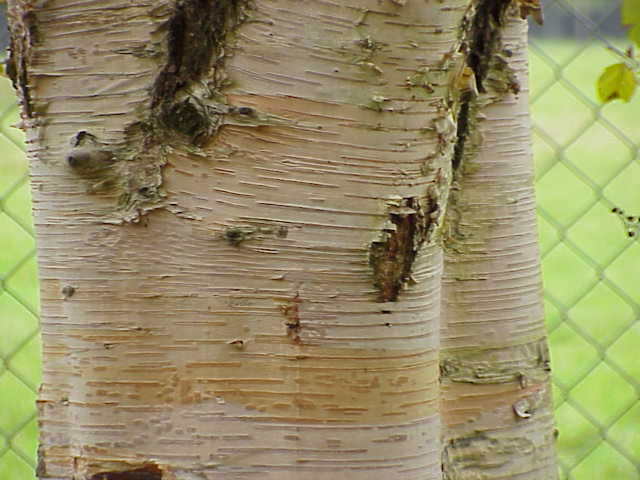 The Paper birch, to me, represents Canadian heritage and history, but it is also a tree that you can no longer find in many local nurseries. This is due, almost exclusively, to the voracious bronze birch borer which attacks the tree, usually at a pre-existing wound, and kills it from the inside out. 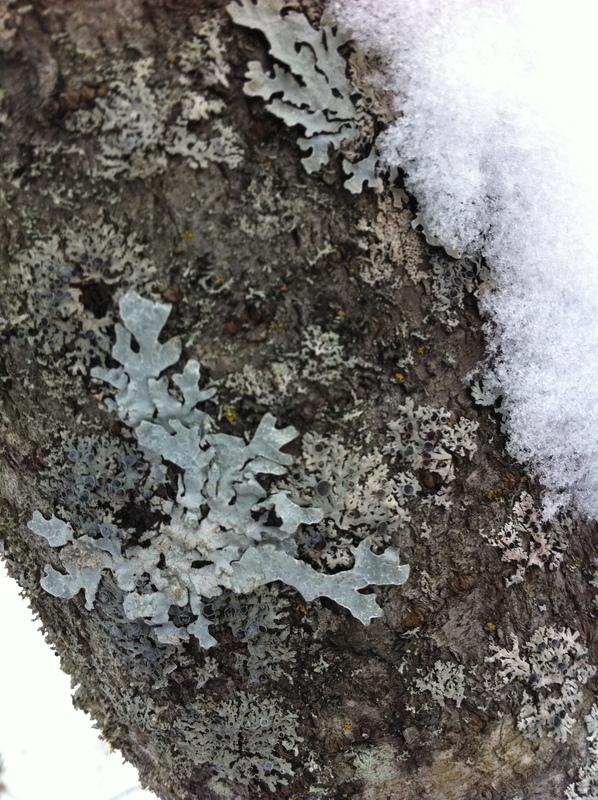 According to the Pest Diagnostic Clinic at the University of Guelph, the best control against this native pest is cultural: that is, ensure the tree is planted in the appropriate place and is kept healthy. 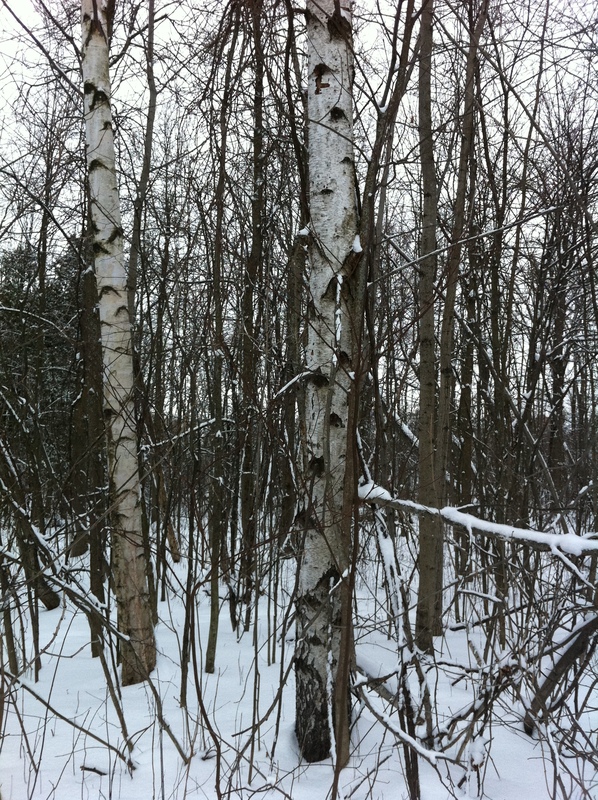 This birch is an important source of food for many woodland creatures including moose, deer, hare, porcupine and beaver. A variety of birds also nest and feed from the tree including sapsuckers, woodpeckers and vireos. The tree is also the larval host for the Eastern Tiger Swallowtail butterfly and the Luna Moth. The bark was used by First Nation people for canoes, baskets, cradles, wrapping and storing food, roofing pit houses and they also constructed small tools with it. The sap was taken medicinally to counteract colds. There was more to see on our walk but I was distracted by the sound of water. It was a stream emanating from a storm drain and its surprisingly clear water was gently flowing down toward the river. I’ll have more for you in Part II. 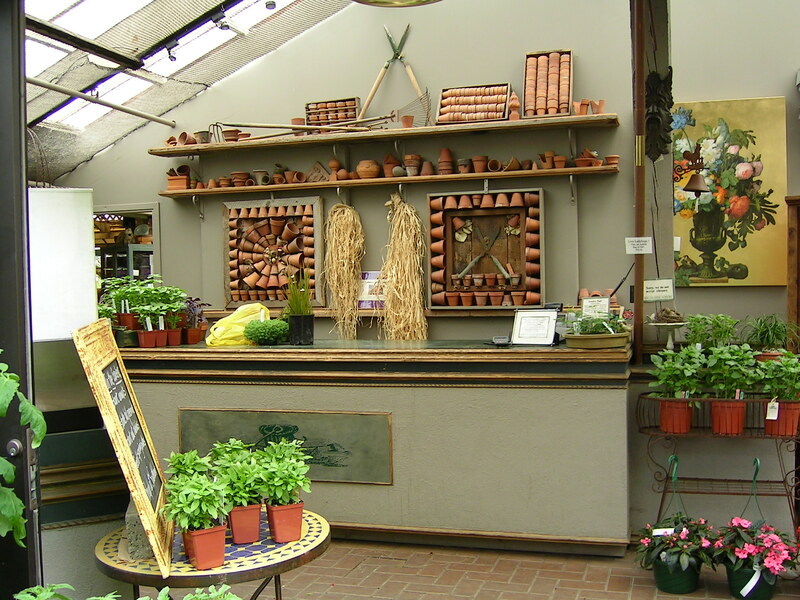 In the most unlikely rural neighbourhood that is a stone’s throw from the skyscrapers in downtown Vancouver is a plant nursery that is unlike any other I have visited in Canada, perhaps even North America. It is called Southlands and it was brought back from the brink by Thomas Hobbs and his partner Brent Beattie in 1991. This is the kind of display that you’ll see in the parking area as you approach the hand-made display benches constructed by Beattie. In this beautifully orchestrated arrangement are giant canna lilies and tri-colour phormiums all of which encircle a beautiful terracotta still-life with succulents, like the one below. One of the things that makes this nursery so special is the interior greenhouse space. 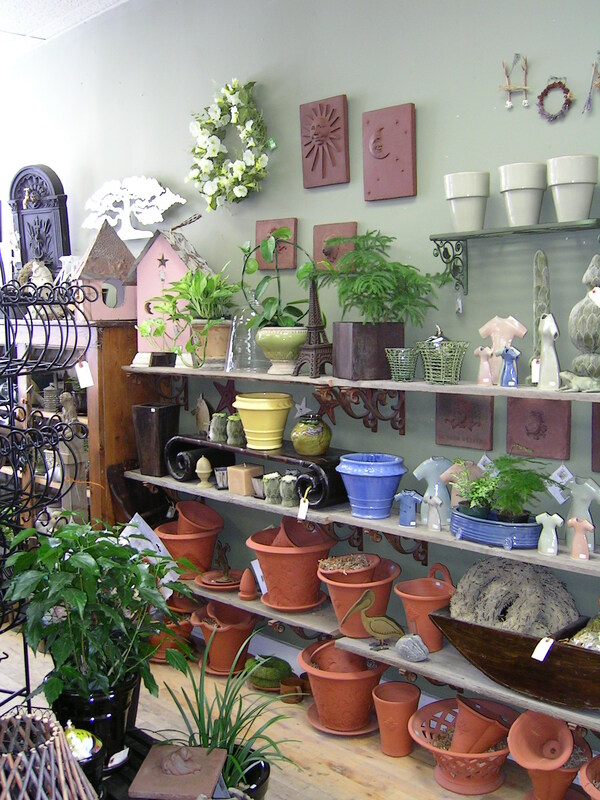 They house an amazing selection of orchids and tender plants, as well as beautiful planters and accessories. 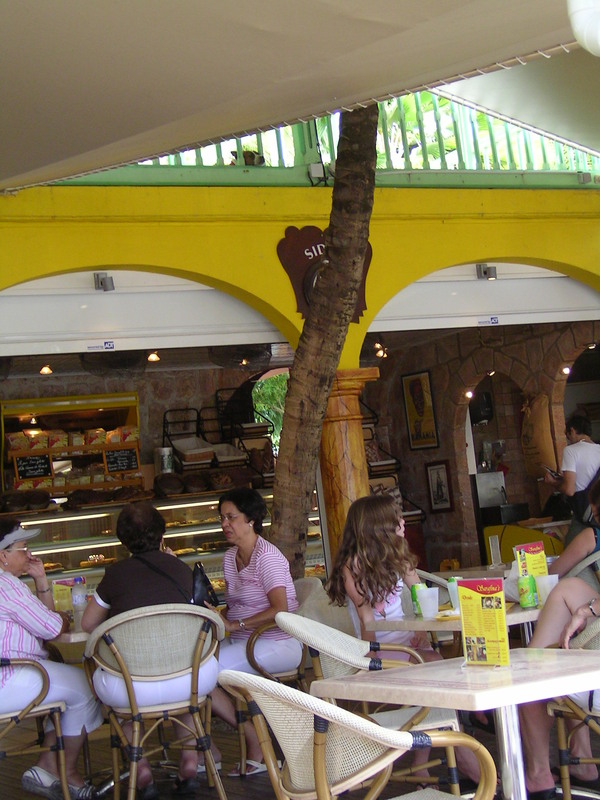 Here the planters are filled with Tillandsia, known as airplants, a tender plant that doesn’t require soil because it is an epiphyte and takes its nutrients through the octopus-like foliage when it rains (much like orchids and bromeliads), rather than from the earth. 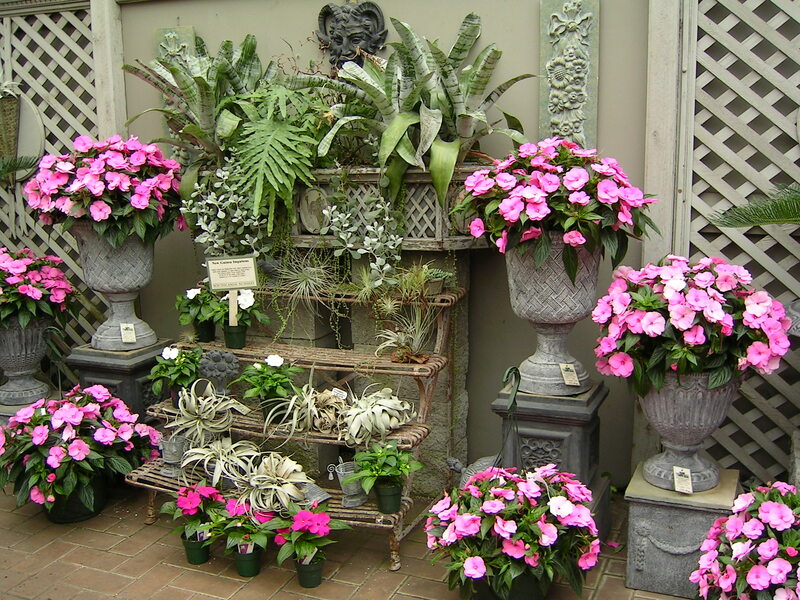 This display of bromeliads, tillandsias and impatiens in lead-grey planters is colour genius. 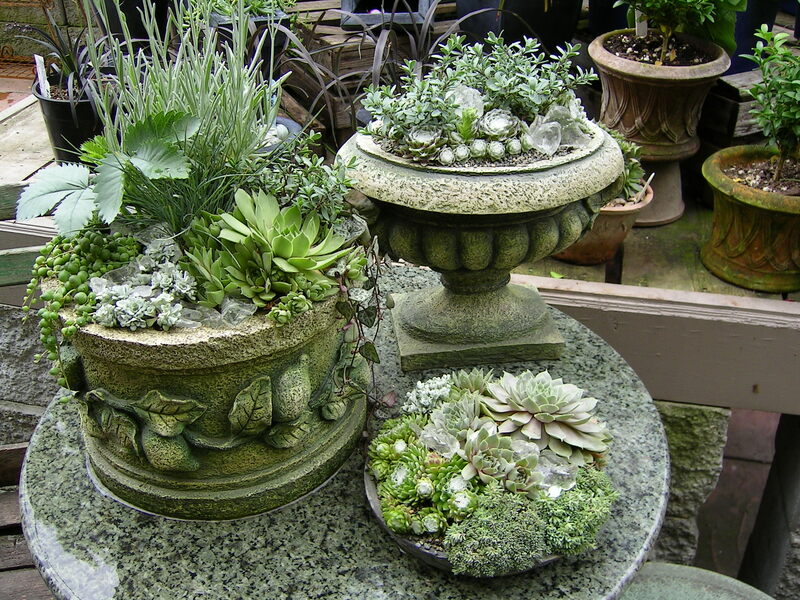 Arrangements of succulents in never-ending shades of grey, silver, blue and purple-black is a favourite. These jewel-like displays fore-shadow the publication of Hobbs’ books, Shocking Beauty and The Jewel Box Garden in 2004 and 2005, respectively. The counter area where your purchases get gift-wrapped is perhaps the most impressive I’ve seen! But one of the most inspirational things about Thomas Hobbs is perhaps his advocacy. In 2009 he put his money where his mouth was and taped a television piece on the imminent closing of the Bloedel Conservatory in Vancouver. When the network showed a reluctance to televise it, he threatened to walk if they didn’t. They didn’t and he did. Bravo! In the end, the landmark was saved, due in no small part to Hobbs’ own voice and his ability to generate public concern and outrage. Go here to his blog to read the whole story. 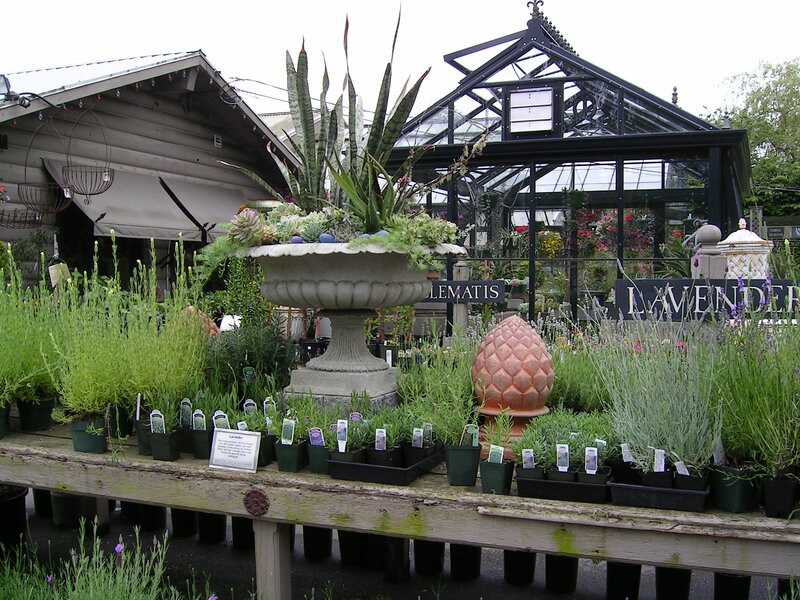 Maybe my friend Laurel in Vancouver will be able to give us an update on both the nursery and the Conservatory. 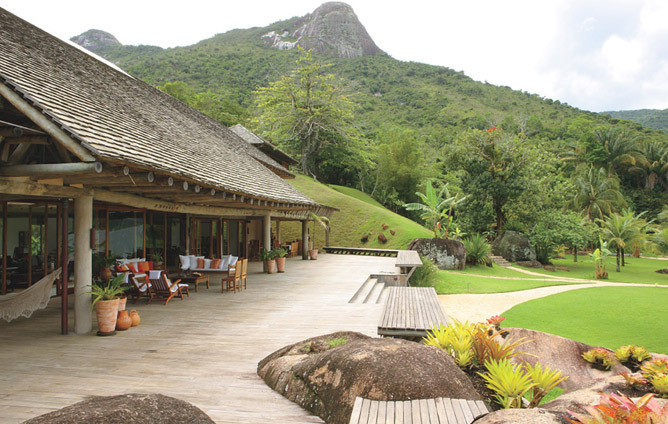 This amazing home is featured in the January 2011 issue of Architectural Digest here. The cold temperatures outside (-40 celsius with the windchill the other day!) 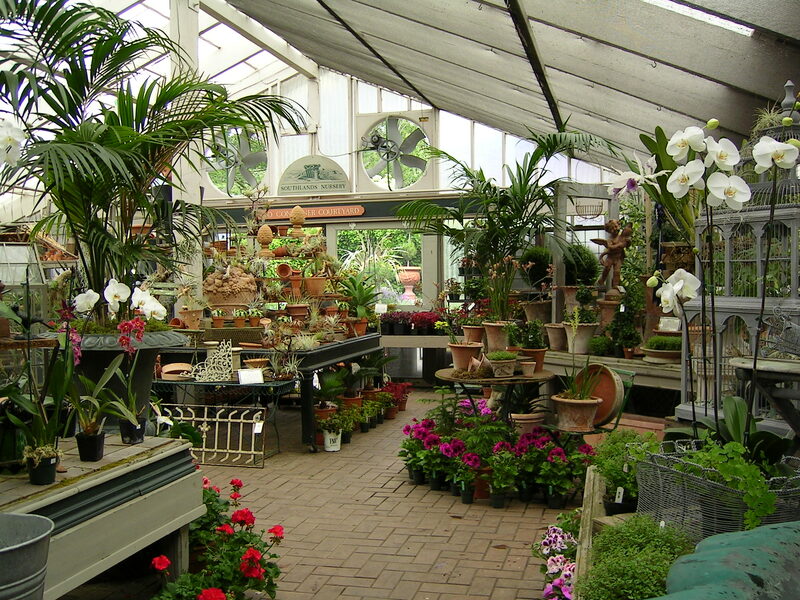 make lingering in a warm greenhouse very enticing. 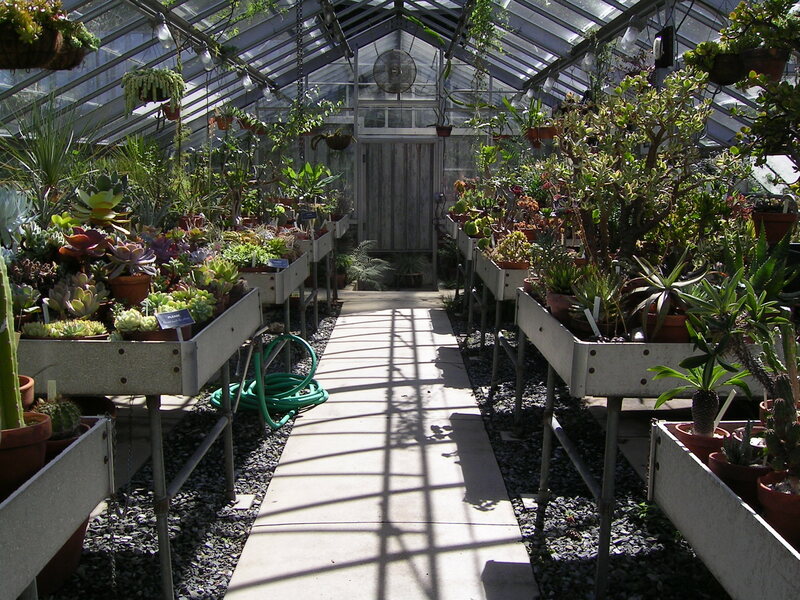 This one is home to a huge selection of succulents and cacti, plants that thrive in hot, dry climates with free-draining and infertile soil. 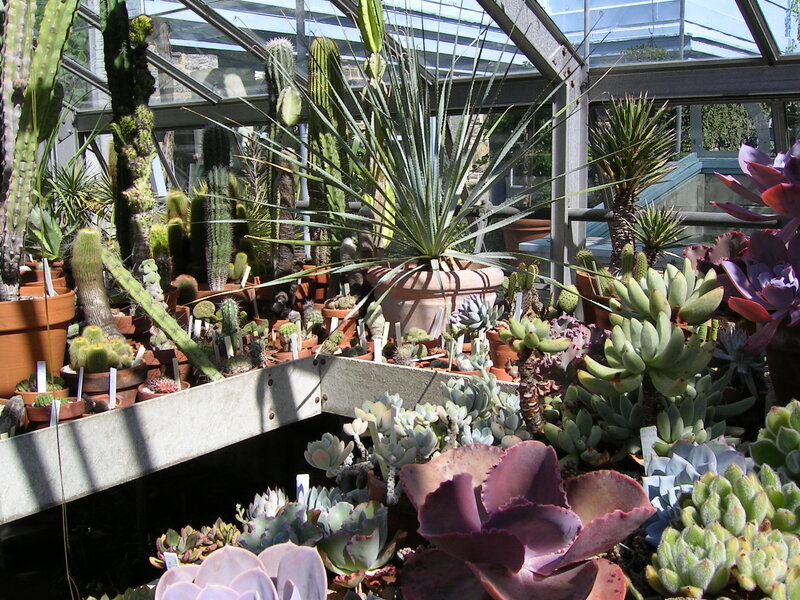 Both succulents and cacti store water in their leaves and stems, allowing them to survive long periods of drought in their natural environments. Knowing the origins of the plants we grow, either in our homes or in our gardens, makes cultivating them successfully much easier. Succulents are perfect plants to grow in a sunny window during the wintertime. 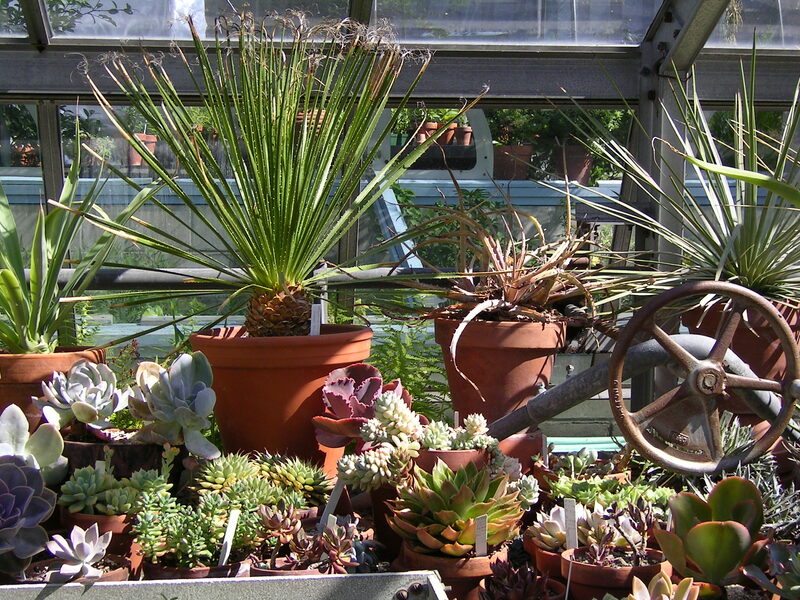 This picture shows a selection of mainly succulents from echeverias to kalanchoes as well as agaves to hawarthias and senecios. 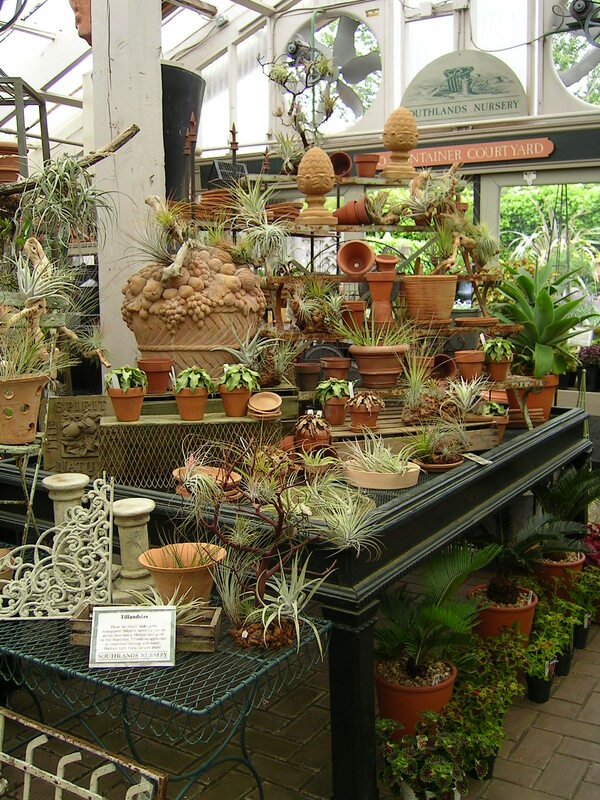 Agaves (commonly known as Century plants and related to yuccas) come in many different shapes and sizes; some have short, broadly shaped fleshy leaves and others, long and thin leaves (like the largest specimen shown here in the terracotta pot). Most share certain characteristics: that is, sharp points at the tips of their leaves as well as serrated margins and pointy spines. As a consequence, they are prickly plants to have in the house and you must afford them space so you don’t impale yourself! 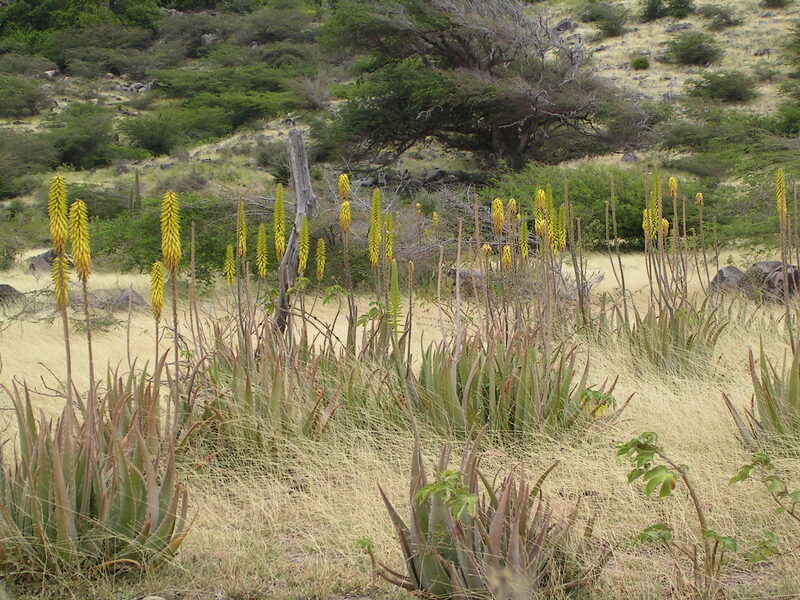 Here are some agaves in their naturally arid habitat with their incredibly tall flower spike! 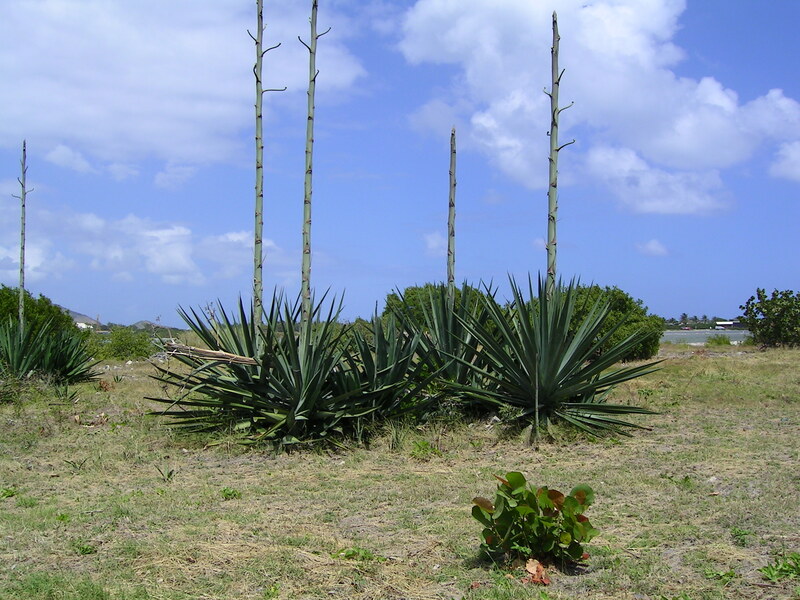 These plants’ basal foliage is about five feet tall and their flowering spike towers to over ten feet. 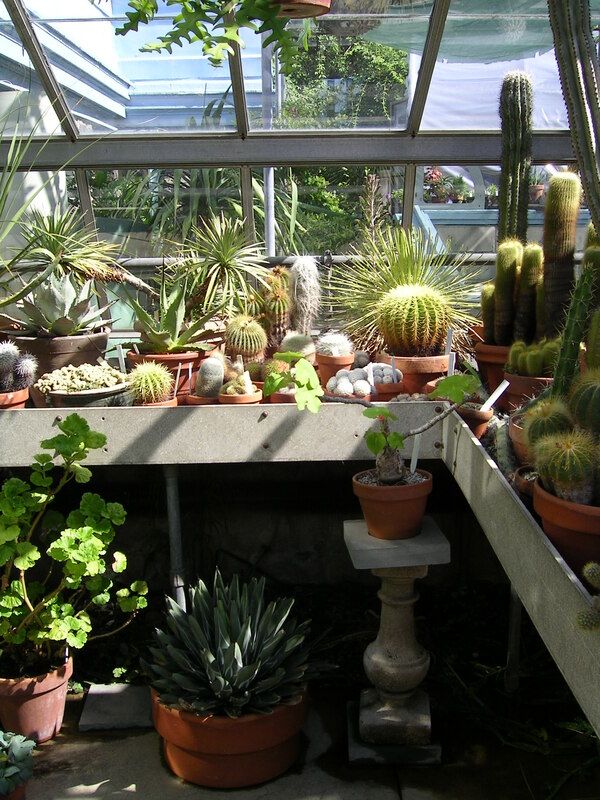 This picture shows a selection of cacti and agaves; the blue-tinged specimen on the ground is probably a variety of Agave victoriae-reginae, named after Queen Victoria around 1875. Agaves were given that name by the so-called father of botanical taxonomy, Carl Linnaeus, in 1753; the word ‘agave’ comes from the Greek agauos, which means ‘of kings and heros’, thus noble or heroic. 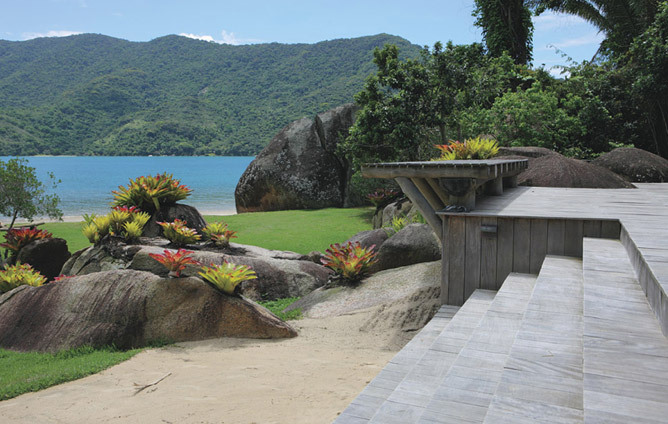 The sight of these majestic specimens as a mass planting outside a Caribbean private residence is truly regal. 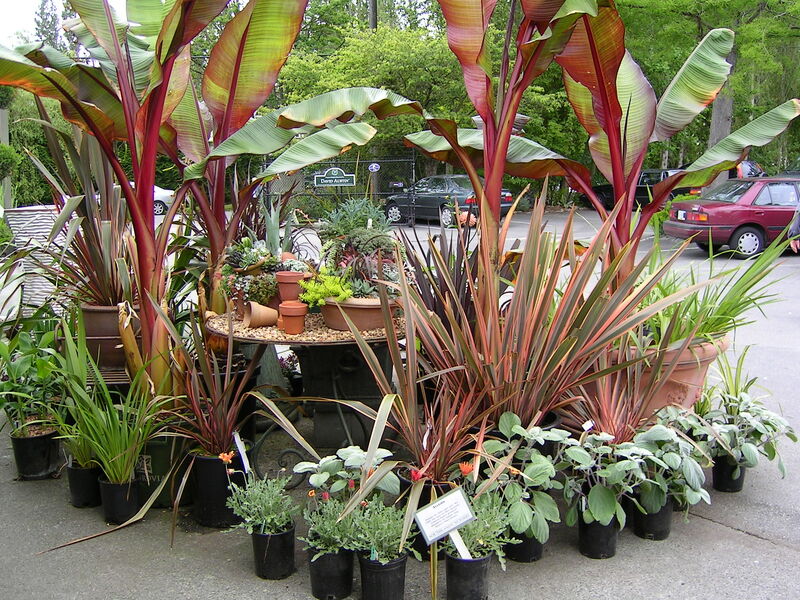 Encircling your house with these plants would definitely keep the riff-raff out! 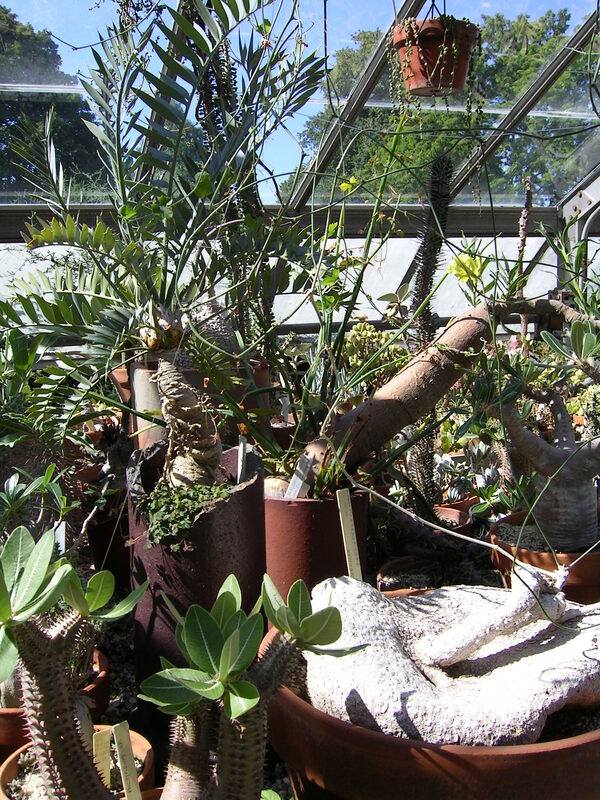 The plant in the foreground with the cluster of leaves at the top of thick, spiny trunks is a Crown of Thorns plant, known as Euphorbia milii. Related to the common Christmas plant, the poinsettia, it also exudes a milky sap when cut (or even when a leaf detaches) that can cause dermatitis and is toxic if ingested. But, it is an unusual and fairly easy plant to cultivate indoors — give it a bit more water than you normally would a cactus and it will retain more of its foliage and flower reliably. Although I’m not certain, I believe the plant above with long sprays of narrow, opposite leaves to be the ‘ZZ’ plant, botanically called Zamioculcas zamiifolia (now you know why it has been given that acronym!). This plant is the ultimate easy grower, requiring very little attention. It will grow reasonably well in low light, without much water and rarely succumbs to any kind of pest or disease. The base of the leaves are swollen, a characteristic that tells you they store water, reinforcing their ability to care for themselves. This is not to say that they won’t enjoy your concern; give them light from all directions, be patient and feed a dilute, natural fertilizer (like seaweed or fish emulsion) during the summer months and this plant will reward you with its graceful form and shiny leaves. There is a great discussion of the ZZ plant and its cultivation here. If not the ZZ plant, then the other plant that this could be is a form of the cardboard palm, called Zamia furfuracea. This plant is in the Cycad family, to which the Sago Palm also belongs. It differs from the ZZ plant in that its leaves are rigid and dry, like cardboard, not smooth and fleshy. It is a plant with a long history, truly a dinosaur plant, having existed here on earth for many thousands of years. Now go back again and look at that picture (above). The strange, flattened blob that sits on top of a pot and seems to have a few stringy stems coming out of it — that’s a plant! I’m betting it’s Ibervillea sonorae, or possibly Bowiea volubilis; whatever it is, I’m quite certain it’s such a curiosity that you’ll never find it in a store! 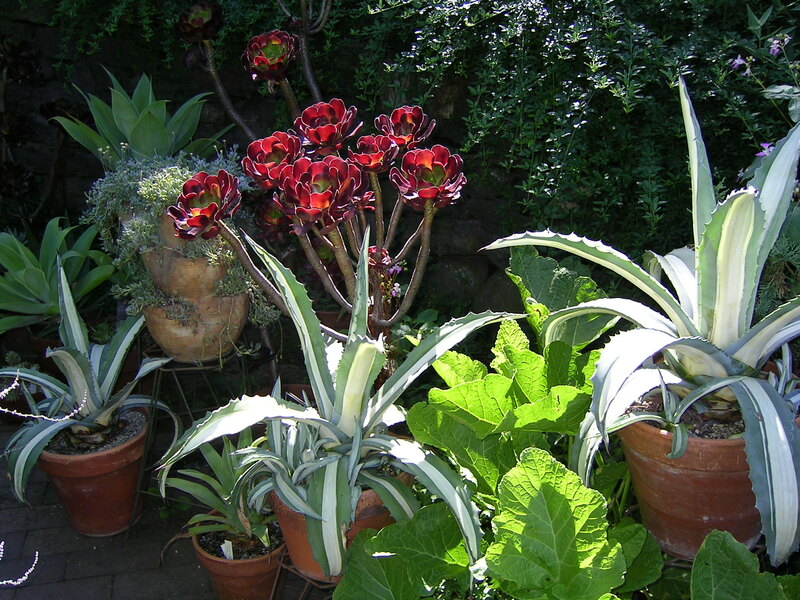 The purple leafed plant in the foreground looks like a variety of kalanchoe, known as Kalanchoe thyrsiflora. There is a new variety called ‘Copper Haze’, released by Proven Winners that you can see here. The glaucous colour of the species is equally striking; I noticed my local Home Depot was selling this plant, along with a variety of echeveria, last summer. I hope customers didn’t expect it to come through the winter, like sedums and sempervivums; they can be grown outdoors in the garden during the summer but are tender and must be taken indoors well before the first hint of frost. The variegated agaves that are shown in the larger photo above are much less hardy outdoors than the solid colour Agave americana, but are good choices for indoor growing. The variegation can be cream or yellow and it can be in the centre of the leaf (like these specimens) or along the margins. 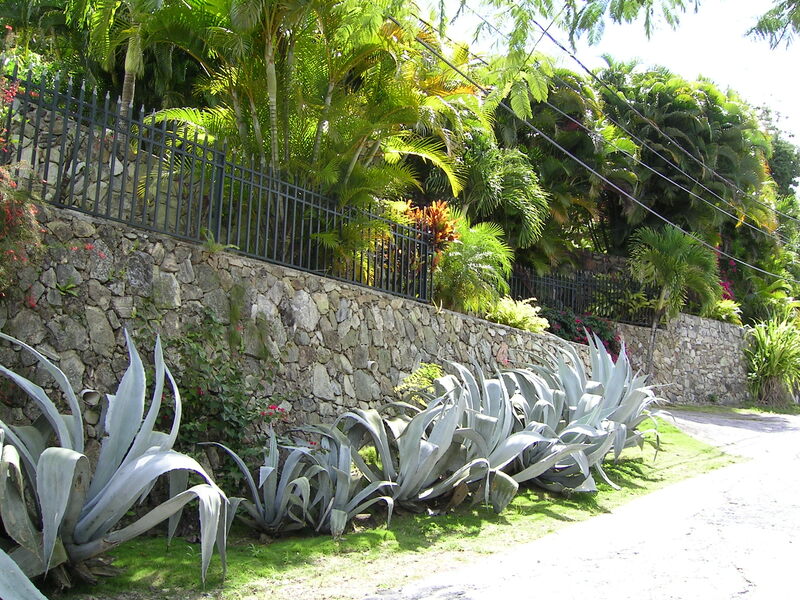 I leave you with this photo of aloe plants on the dry hillside of the island of St-Martin. If you’d like an easy succulent that is both attractive and useful medicinally, try this one. It will soon be spilling out of its pot and reminding you of the tropics. 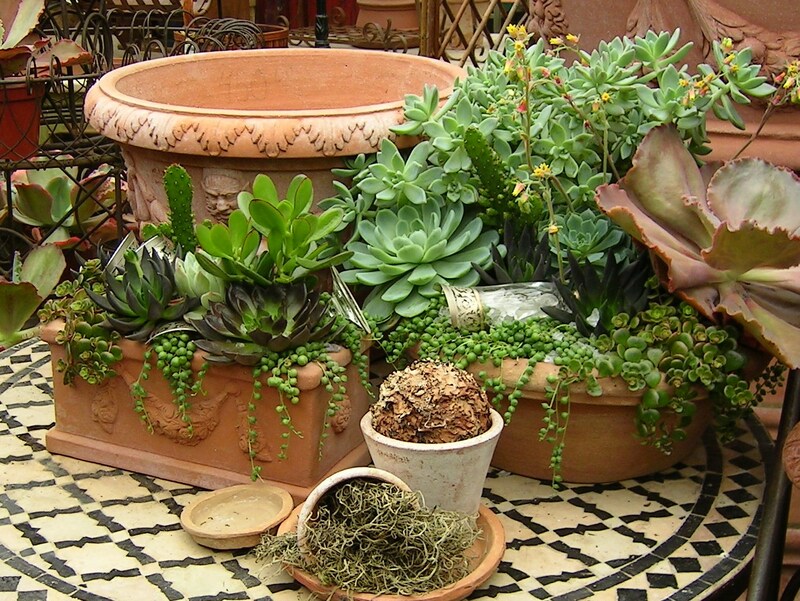 For more information on succulents online, go to www.succulent-plant.com; this site has a thumbnail image encyclopedia, making it a snap to identify any plant you may have but don’t know what it is. I came across this video on Margaret Roach’s website here of Elizabeth Gilbert’s (of Eat, Pray, Love fame) talk on nurturing creativity and allowing ‘genius’. I thought it was incredibly well-crafted and beautifully delivered. And speaks to all of us who seek originality in our craft, whatever form it might take. I have long thought that animals can teach us many things: hope, patience, determination, bravery and loyalty being chief among them. This heart-wrenching video confirms to me two things: squirrels have meaningful relationships (dare I say, ‘love’) and they also exhibit fierce protection and anguish in the face of death. It is likely that one dead animal on the road has left behind a mate or friend, a parent, a sibling or an offspring. We should be more mindful of our animal companions on this planet and treat them with more compassion and respect. 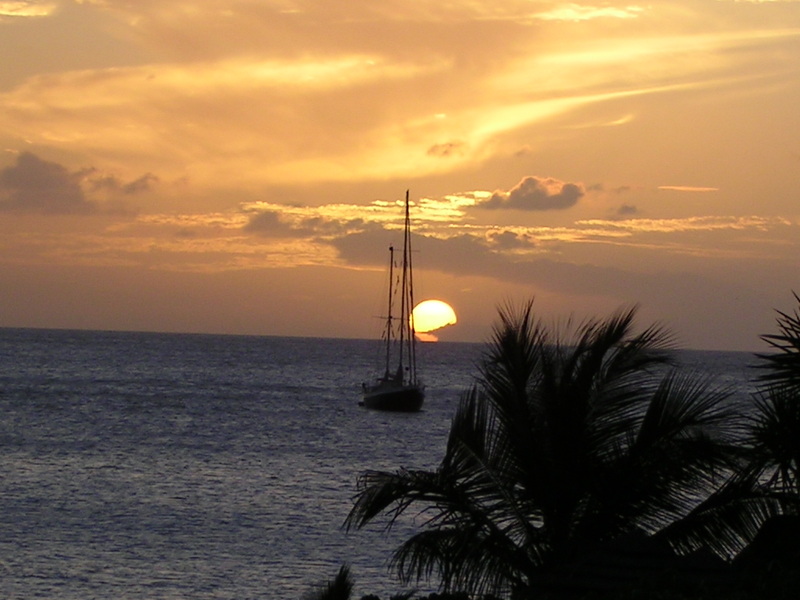 I was going through some of my pictures while in St-Martin a few years ago and found some beautiful shots. I thought I’d share them. 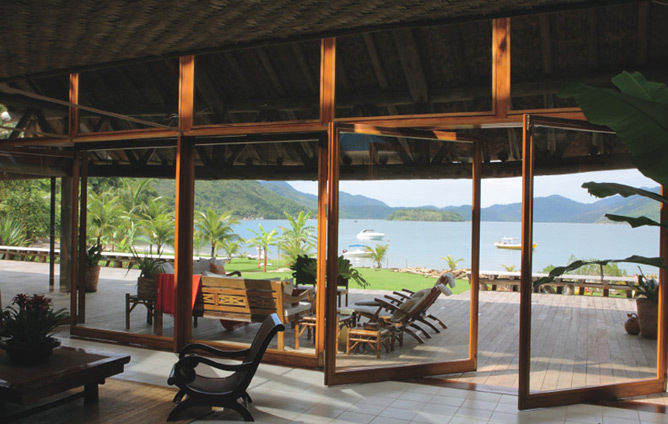 I believe the main benefit of these travel experiences is the ability to conjure them up again in your mind’s eye, as needed. If you stop at any given moment and take a look around you, you’ll see a small treasure. I believe this to be true wherever you are and whenever you look. 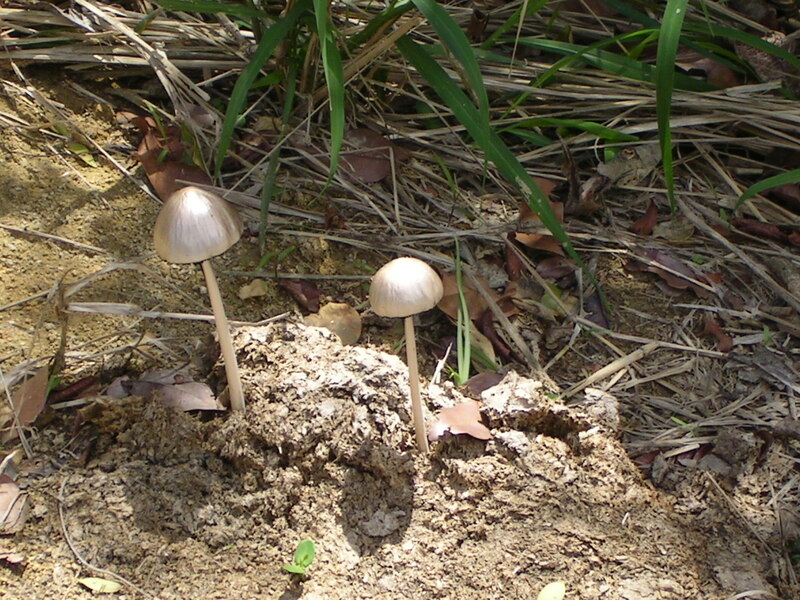 These tiny toad stools were on the side of the road as we drove up the island’s only mountain, Pic Paradis; if we hadn’t stopped and I hadn’t looked down, I never would have seen such amazing things. They appeared, in real life, as impossibly metallic as they look here, with delicate black edges along their bottoms. 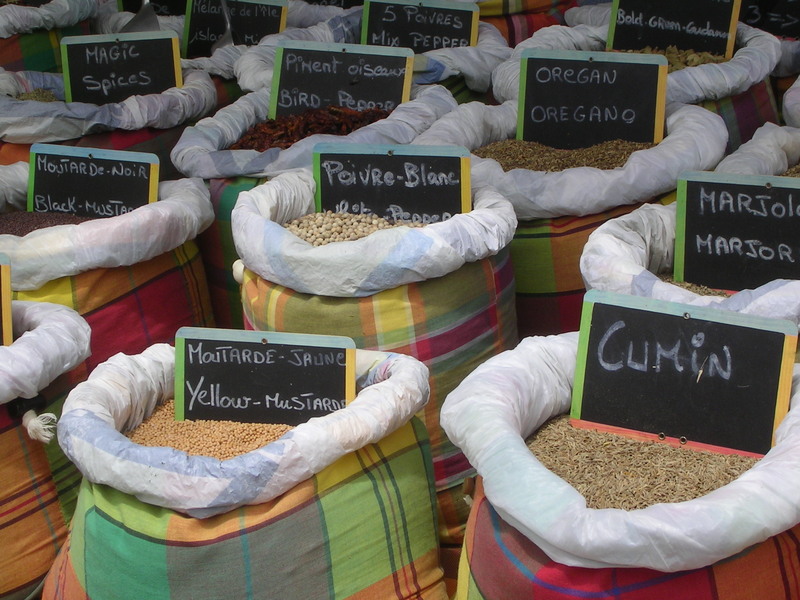 This display of spices was, no doubt, for the benefit of tourists like me — but wow! It worked by stopping me in my tracks and compelling me to take the shot. If you look to the top of this photo, you’ll see a dog face peering down from the second floor. This picture reminds me of the famous one by Alfred Stieglitz, called The Steerage. My version is upside down and makes me laugh. And sometimes you witness a scene that is so beautiful that you have to stop and hold your breath.